The staff at EDI is both professional and well qualified. If you would like to learn more about us, please peruse this section of the site. All full-time staff members are included for your review. We feel we have a great team at EDI. They are a skilled, kind, devoted and caring group of people. We try to organize our practice the way we would like to be treated by running on time, providing personalized care and learning the names of our patients as well as always lending an ear and assistance when needed. None of this would be possible without a great team of professionals. If there is any information you would like to know in greater detail, please contact us. Each of the names below have direct links via e-mail if you need to contact a staff member directly. We understand that the greatest compliment you give us is your trust. We look forward to earning that trust. Craig R. Sweet, M.D., is board certified in Reproductive Endocrinology and Infertility as well as Obstetrics & Gynecology. His private practice, Specialists In Reproductive Medicine & Surgery,P.A. (SRMS), is located in Fort Myers, Florida. He is Medical and Laboratory Director of the SRMS In Vitro Fertilization and Southwest Florida Egg Donation, Embryo Donation & Surrogacy Programs as well as Embryo Donation International. Originally from Milwaukee, Dr. Sweet earned his Bachelor's of Arts degree in Psychology and biology from Northwestern University in Evanston, Illinois. He graduated with honors (Alpha Omega Alpha) from medical school at Southern Illinois University (S.I.U.) School of Medicine. He went on to complete his internship and residency in Obstetrics & Gynecology at S.I.U. During residency, his areas of research and publications included recurrent pregnancy loss, pediatric gynecology and genetics. He won awards for his research activities during his residency training. Dr. Sweet received his sub-specialty training in Reproductive Endocrinology, Infertility and Genetics at the Medical College of Georgia. 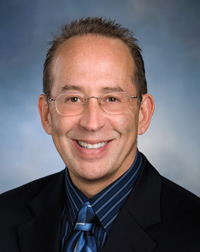 During and shortly following his sub-specialty training, Dr. Sweet became published in the areas of transvaginal sonography, recurrent pregnancy loss, male infertility, embryo transfer techniques, advanced ART laboratory techniques, ambiguous genitalia and molecular genetics. Dr. Sweet is very active in patient, nursing and physician education and is a member of more than a dozen various professional organizations and medical societies. He currently serves on the Lee Memorial Health Systems (LMHS) HealthPark Ethics Consultation Group, and the Pediatric Subcommittee of the HealthPark Ethics Consultation Group. He is Past-President of the Lee County Medical Society. Dr. Sweet has been voted as the region's top Reproductive Endocrinologist by Gulfshore Life in 2004, 2005, 2007, 2008, 2009, 2010 and 2011. He is also frequently quoted in local and national magazines commenting on such topics as surrogacy, oocyte cryopreservation and especially, embryo donation. Dr. Sweet's current areas of research include oocyte cryopreservation, male-factor infertility and embryo donation. He has also written on contemporary issues including truth-in-advertising in the field of reproductive medicine. If you would like to learn more about Dr. Sweet's background, please review Dr. Sweet's CV for a wealth of detailed information. If you would like to review his OB/GYN and Reproductive Endocrinology & Infertility Board recertification scores. Dr. Sweet has also been a Principal Investigator in seventeen and Sub-Investigator in an additional sixteen pharmaceutical sponsored studies. If you would like to learn more about Dr. Sweet's experience in pharmaceutical research, please download the research CV. 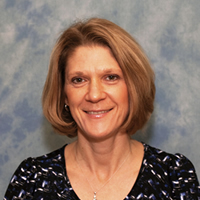 Lorrie received her Bachelor's of Science degree in Nursing and her Master's of Science degree from the University of Michigan. She has been a Women's Health Nurse Practitioner since 1995 and joined SRMS in 2003 during the early days of embryo donation. She is passionate about her work and detail oriented. Lorrie is able to wear multiple hats including Embryo Donation Coordinator as well as Advanced Registered Nurse Practitioner. Above all, she is a fantastic team player willing to do all that is necessary to ensure success for our patients. If you would like to review more about Ms. Posegay's background, please review her CV. 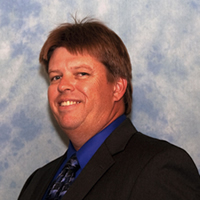 Mr. Burke joined our team in 2004, bringing with him a strong work ethic and a wide range of laboratory experience. He had extensive background in clinical laboratories working in the areas of toxicology, hematology, chemistry, and infectious disease. In his time with us, he has done a tremendous job streamlining the lab, achieving and maintaining our accreditation with the prestigious Joint Commission on Accreditation of Healthcare Organization (JCAHO) and with the Clinical Laboratory Improvements Amendments (CLIA). He advanced from the basics of Andrology to achieving excellent success rates in IVF. He has been pivotal in starting our recent Oocyte Cryopreservation Program. He is extraordinarily knowledgeable in the area of FDA regulations and ART, which is so important as there are so many misconceptions about the FDA regulations and theire affect on embryo donation. He is passionate about EDI and has been involved in the process from the beginning. He has been traveling across the U.S.A. discussing EDI with various practices helping to reroute embryos from abandonment or being discarded. His knowledge about embryo donation is truly vast. The patients as well as the embryos are lucky to have him here. Dr. Bhatnager currently serves as the off-site laboratory director Specialists In Reproductive Medicine & Surgery (SRMS). 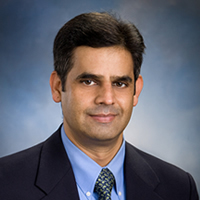 Dr. Bhatnagar holds a Doctor of Philosophy degree for research in Reproductive Immunology from a collaborative research program between the Postgraduate Institute of Medical Education & Research, Chandigarh, India and Baylor College of Medicine, Houston, Texas, following a Master's of Science (Honors) in Human Genetics & Anthropology from Punjab University, India. Dr. Bhatnager completed his post-doctoral fellowship and training at the Laboratory of Human Reproduction & Reproductive Biology, Department for Cellular and Molecular Biology at Harvard Medical School in Boston, Massachusetts. Dr. Bhatnagar is board certified as High-Complexity Clinical Laboratory Director by the American Board of Bioanalysts, with subspecialty proficiency in Clinical Embryology and Andrology since 2005. 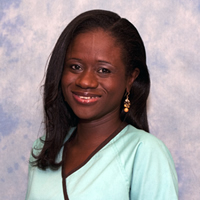 Marie has worked in medical offices since 2000 and joined the practice in 2007 as a Medical Assistant. Her experience includes work in primary care offices and clinics and she holds an Associate in Science degree. She is currently working hard to get into nursing school. Besides her wonderful language abilities, she does a great job running much of the back office. She is bright and has been a wonderful addition to our practice. Marie is fluent in English, Creole and French. 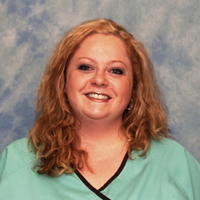 Beth joined the practice as a Medical Assistant Student Intern in 2009 and later was hired permanently. Beth assists patients in understanding the recommended procedures, their insurance coverage when applicable, collects payment at the time of service and answers patient questions. Beth possesses an Associate's in Science degree in Occupational Health. With her great smile and positive approach, Beth is a wonderful asset to the EDI team.